Once you have started your journey with God, He wants to help you grow strong in your relationship with Him and other people. God loves you just the way you are, but He loves you too much to let you stay the same. When it comes to growing in your faith,one thing can be said with absolute certainty: You cannot do it on your own! 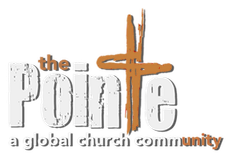 So here at The Pointe, we focus on growing our relationship with God and Christ – but doing it together.